Anchoring your safe is something that everybody should do. 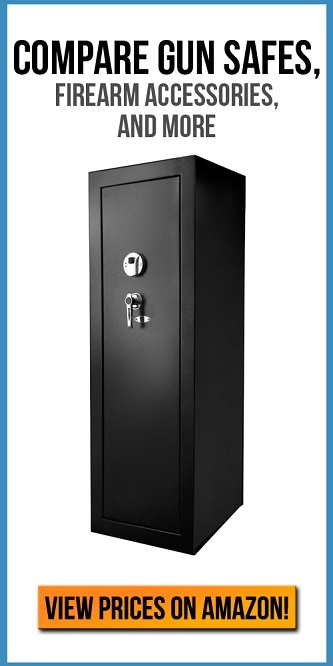 Simply put, anchoring your safe is bolting your safe to the floor or shelf it sits on. There are holes pre-drilled by the safe company, and bolts provided by the safe company as well. Follow the instructions and you are good to go. The main thing of note here is the protection against burglars. Most safes weigh around 100 pounds or more, and sometimes can weigh up to 400 pounds. 100 pounds can be carried by almost any average sized man, and even most women. When a burglar is in someone’s house, their adrenaline is pumping at extreme rates, meaning they are more physically able. So, even with the weight, your safe may not be secure. This is where the anchoring points come into play. Can you imagine how difficult it is to rip out a heavy steel box that is bolted into concrete? We’ve tried – it’s nearly impossible to get it to move. This is an extra security precaution, included in the costs of a safe from many of the top safe makers out there. Take advantage of it. How do you bolt down a safe? The first and one of the most important decisions to make when bolting down a safe is to decide where you want to put it. Choosing a well-hidden spot can be really advantageous because if it is in a place in your home that nobody knows about, there is a very small chance anyone other than you will touch it. A quick tip, make sure the safe is placed on a level spot. An unleveled safe can lead to problems. Now that your safe is in place, you are going to want to open up the safe and locate the pre-drilled anchor holes. Remember to have your drill and bolts ready to go. Proceed to drill the holes in the floor where your safe is located. Bolt down the bolts and you are good to go. This is a broad explanation of the safe anchoring down process. Please make sure you refer to the manufacturers instruction manual to ensure you get the job done correctly. As you can see, this simple fix can make your safe go from somewhat secure, to 100% secure. Spending hundreds of dollars on a safe is a big deal for most, and you should be getting the most out of your purchase. This is where the anchoring process comes in play. Remember, as said more than a handful of times throughout this website, picking a smart, and well-hidden location is the biggest key to success with your safe. If you are putting your safe out in the open for everyone to see, even if it is anchored down, you still might come home to it gone missing after a home invasion. If you do not have access to the recommended tools in the instruction manual, then you should ask to borrow them from any neighbors you have. If they don’t have any, ask your family members if you can use it for a bit.